Congratulations to our Robotics Students! 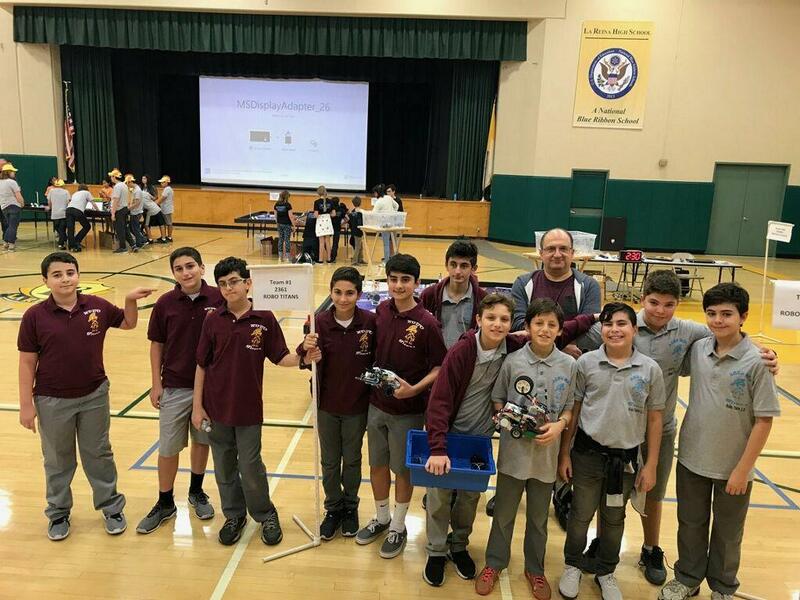 Our Robotics students come away with a win at the First Lego League Qualifying Tournament and make us proud! 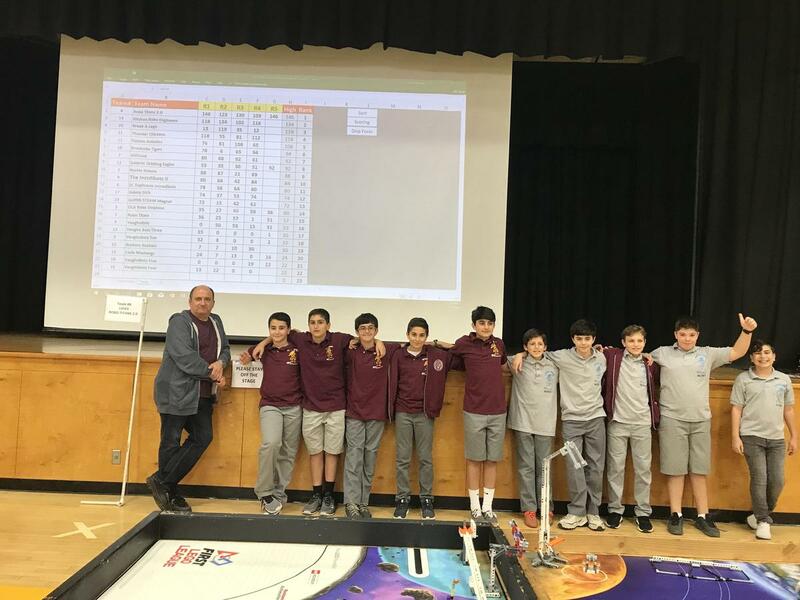 Our robotics class taught by Mr. Fadi Beyrouthy participated at the First Lego League Qualifying Tournament on November 18! 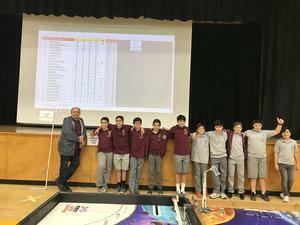 The tournament was at La Reina High School in Thousand Oaks, and is part of several qualifying tournaments in Los Angeles that determine who will go on to the semi-finals and eventually the international tournament. Our school entered with two teams, Robo Titans and Robo Titans 2.0. The students had to prepare for the robot competition where the robot (built by the students) has to move autonomously following a program written by the students and solve missions on the competition table. The teams also had to do a research project and present their work to judges at the competition. The most important part of the competition is the robot competition. It is where the robot has to perform autonomously following a program, our Robo Titans 2.0 team won first place with a score of 146 (12 points higher than the next best team at the tournament)! Our second team, Robo Titans came in 15th position in the ranking with a score of 57. The competition hosted 24 different school teams. Congratulations to our Robotics students on a job well done! GO TITANS!! !